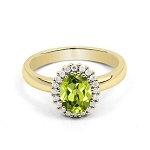 Make your life happening with the perfect balance between luck and comfort with the brightly colored precious diamond gemstone rings. 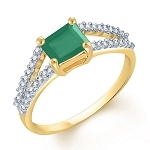 A great jewelry masterpiece, different colored gemstone rings are marvelous in appearance and is often called as the birthstone. 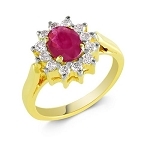 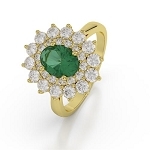 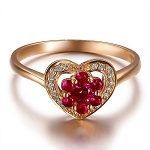 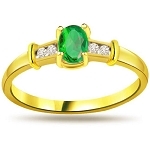 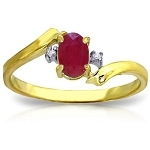 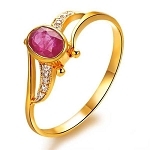 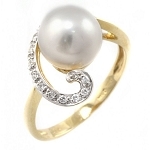 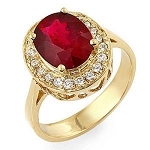 You can propose her with the lucky charm of gemstone rings or be the incredible chic with gemstone rings by making a presence in evening parties or anniversary parties or brighten up your day by wearing the birthstone of your eclectic choice. 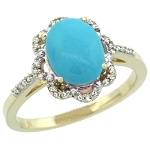 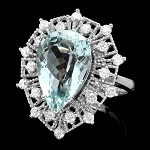 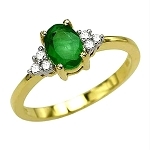 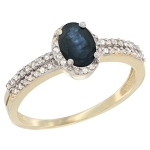 Queen jewels offers gemstone Diamond rings with choice of gemstones such as aquamarine, emerald, ruby, sapphire, and topaz. 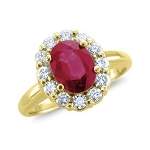 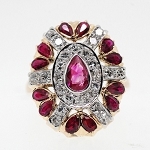 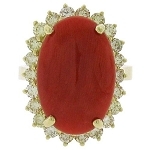 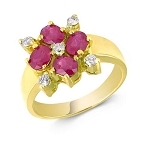 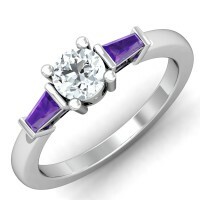 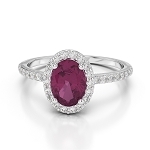 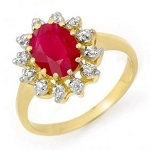 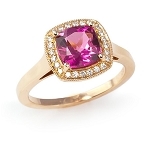 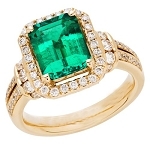 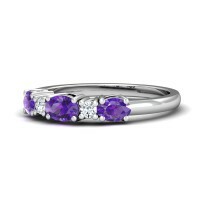 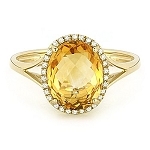 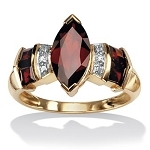 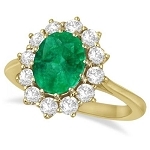 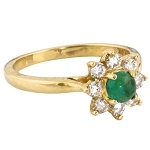 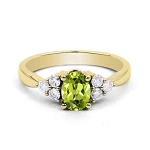 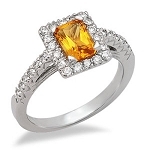 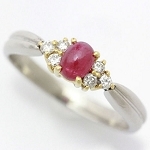 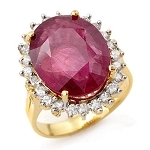 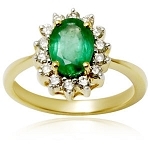 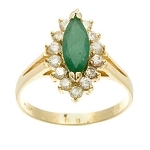 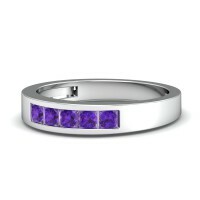 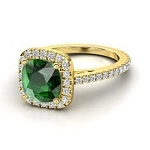 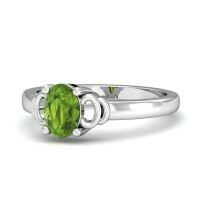 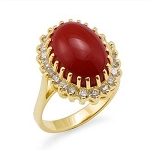 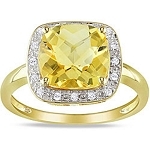 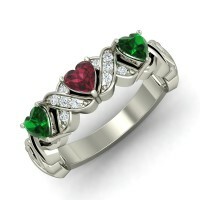 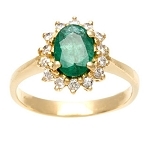 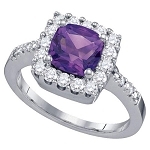 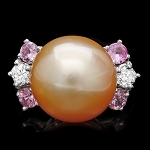 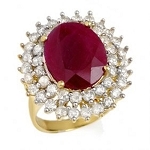 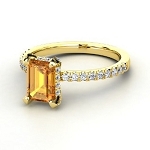 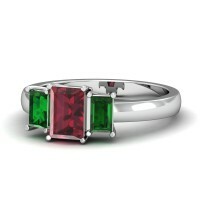 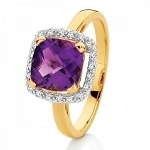 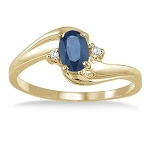 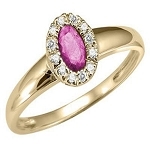 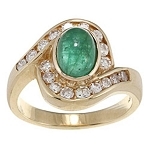 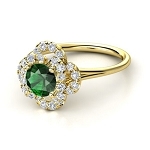 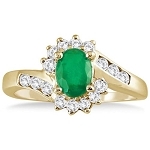 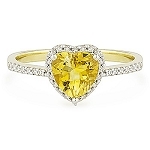 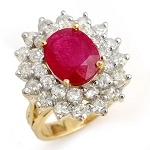 Look for gemstone rings that have vibrant, saturated color. 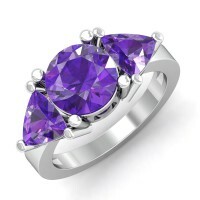 They should also be cut to maximize the beauty of the gemstone. 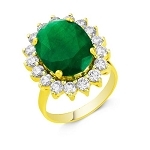 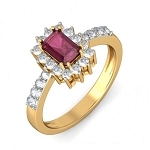 Get the undeniable collection of natural gemstone rings of exceptional color, character and beauty at Queen Jewels and that too half the price. 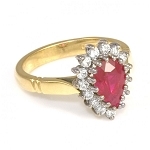 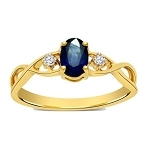 With our selected rare pieces, get gorgeous handmade fusion of diamond and gemstone rings, emerald diamond ring, sapphire diamond ring, ruby diamond ring, blue sapphire and diamond ring and many more. 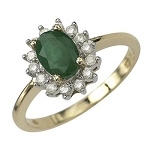 Our spectacular range of vibrant diamond gemstone rings are translucent and conflict free. 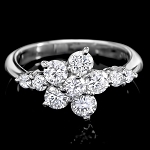 Whether you are buying diamond gemstone engagement rings or gemstone wedding rings, we offer discounted gemstone diamond rings and a certificate of authenticity with your blissful purchase to ensure you peace of mind. 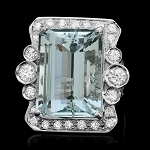 The Wonderful Fact- Documented around 500-3000BC, Greek Sailor wore Aquamarine from the protection of Sea God, Poseidon. 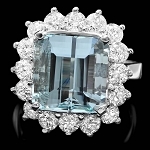 The lucky stone, aquamarine beholds its rich name from two Latin words named aqua means water and marine symbolising health and happiness. 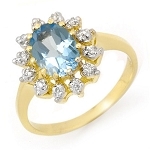 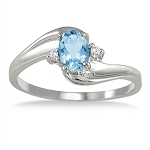 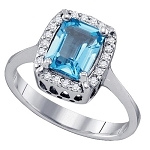 Aquamarine rings are perfect jewelry to be given at the christening of child in March. 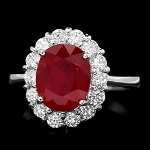 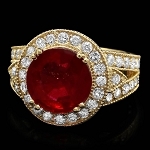 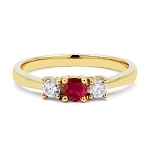 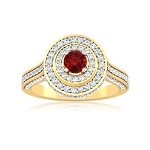 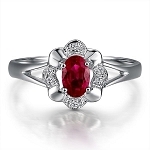 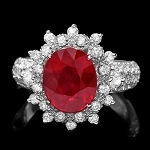 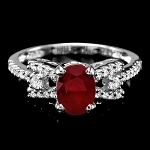 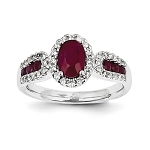 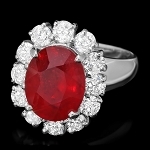 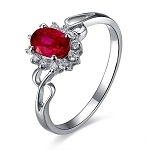 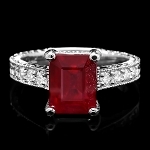 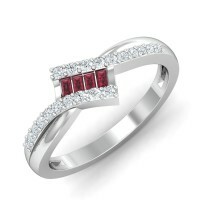 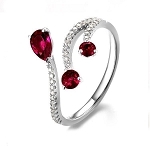 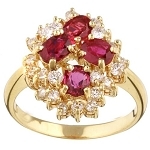 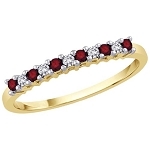 The Wonderful Fact- The enticing red gemstone, it is one of the world's four precious stones, ruby diamond rings is a popular choice for engagement and weddings including ruby engagement rings. 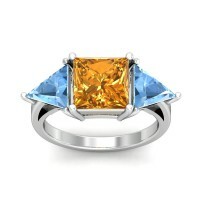 It is the birthstone of July. 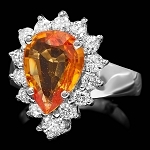 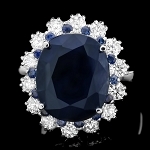 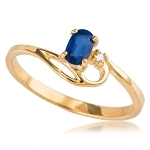 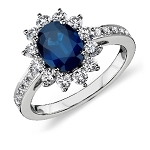 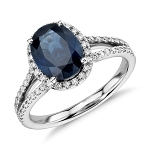 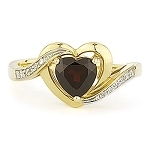 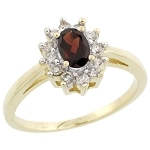 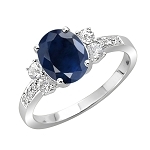 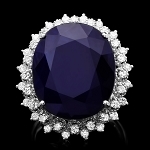 The Wonderful Fact- A stunning deep colored gemstone, Worn in royal engagement forms including sapphire engagement rings, it is considered to be the symbol of virtue and good fortune. 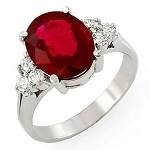 It is the birthstone of September. 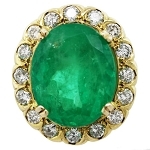 The Wonderful Fact- Cleopatra's favorite emerald jewelry, it was also considered to be the first recorded sunglasses used by Emperor Nero to watch gladiator games. 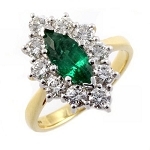 Today it is a popular as emerald diamond engagement rings, it promotes domestic delight, sensitivity and loyalty in couples. 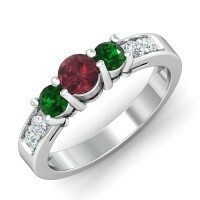 To Egyptians, it was symbol of life and to the Aztecs it meant seasonal renewal. 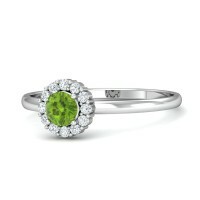 It is the birthstone of May. 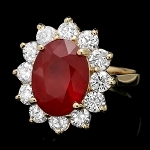 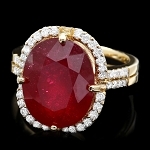 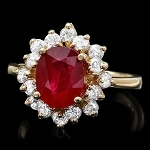 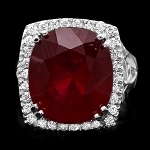 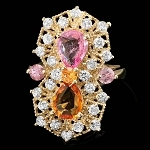 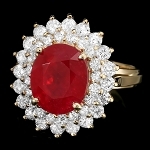 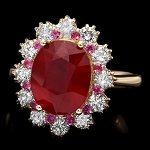 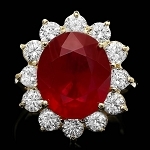 The Wonderful Fact- Discovered in 1967, it is considered that this gemstone was first discovered by Masai cattle herders. 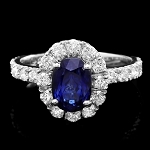 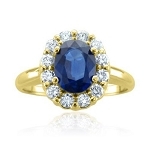 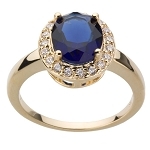 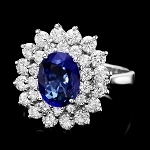 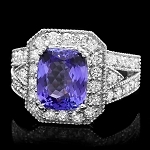 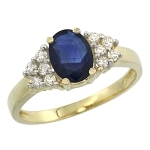 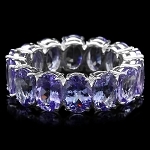 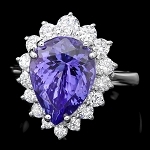 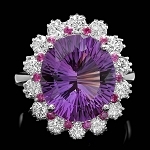 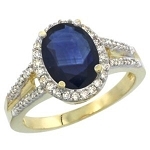 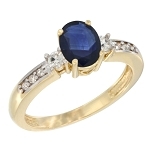 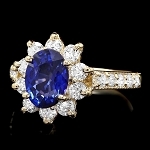 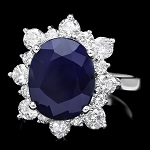 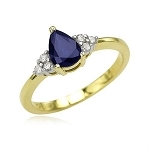 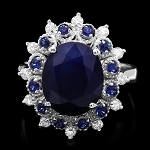 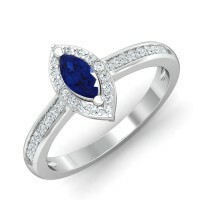 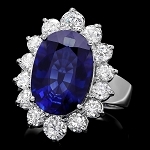 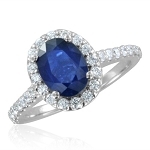 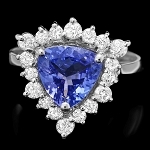 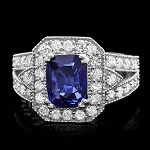 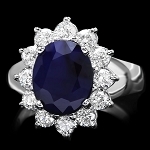 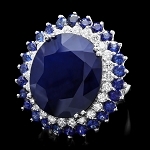 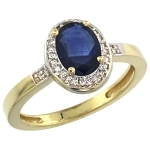 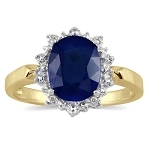 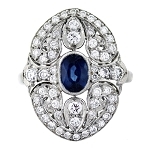 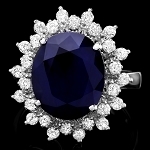 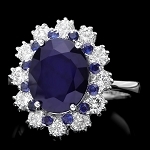 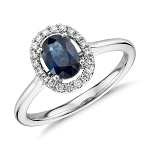 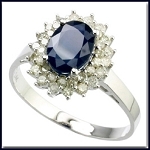 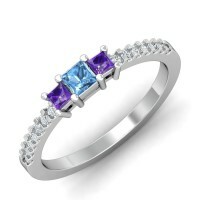 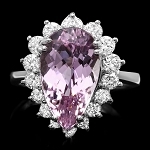 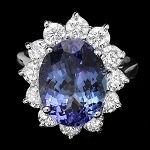 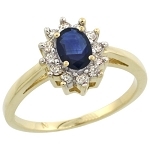 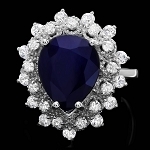 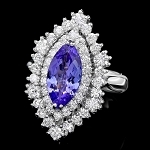 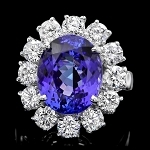 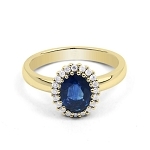 Tanzanite has incandescent light which has been compared with the eyes of Elizabeth Taylor. 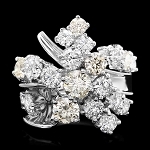 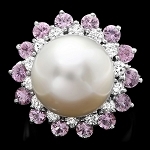 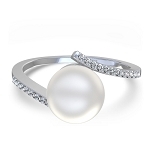 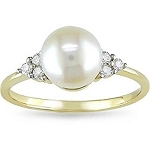 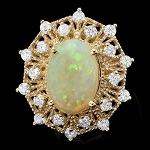 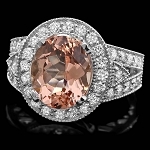 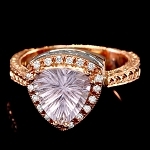 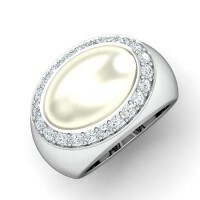 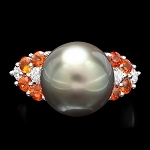 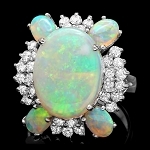 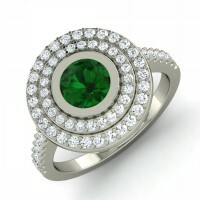 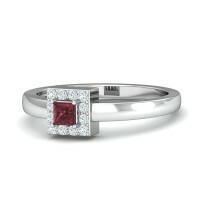 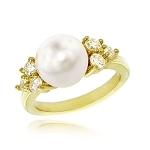 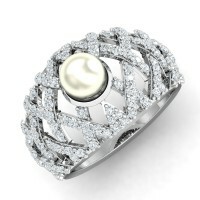 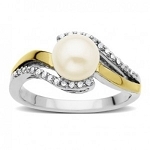 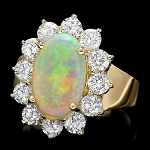 With its multi-dimensional qualities, it has unique shimmering tone that makes it a famous engagement or wedding ring. 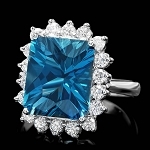 It is the official birthstone of December. 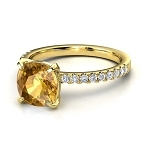 The Wonderful Fact- Historically, Topaz gemstones go back to the Middle Ages and mentioned in Kings James version of Bible. 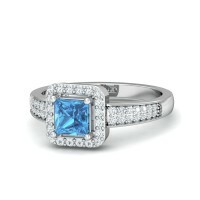 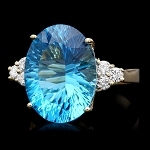 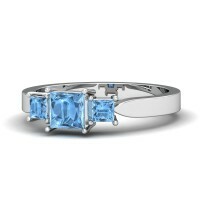 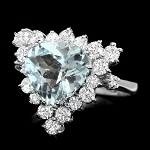 Rarest of all, blue topaz is popular jewlry item in necklaces, earrings and rings and a popular choice by the newly weds. 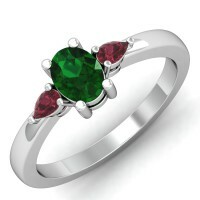 It is the birthstone of December. 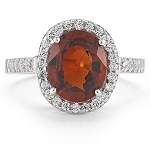 Find a world of rare selection of nature inspired gemstones for the perfect day everyday!